It’s really fun to choose baby shower favors for your guests, as a little way to say thank you for celebrating the upcoming birth of your little one. 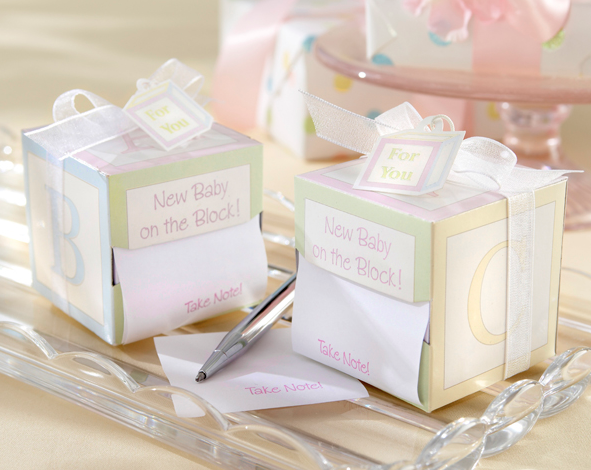 Here are 4 fun and beautiful baby shower favors you are going to love! This adorable pacifier is crystal and faceted, so it’s beautiful and still has that fun baby quality. Your guests will cherish this favor and will always be reminded of your special day. It comes in a heart-design box with a beautiful organza ribbon and “for you” tag. Everyone loves candles, and this amazing baby shower favor takes candles to a new level. 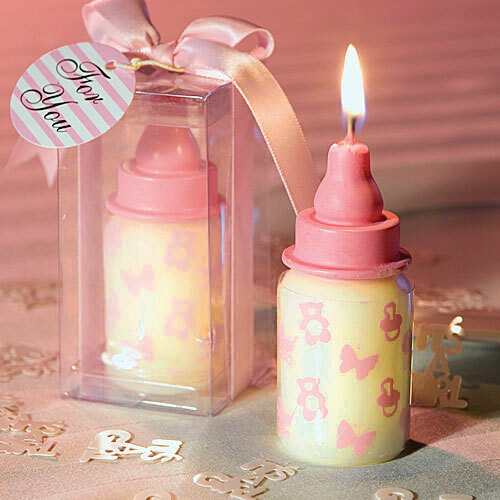 A precious baby bottle in pink for your little girl, this candle is one your guests might have a hard time burning. It’s a lot of fun and will serve as a memento of your special little one. Everyone uses sticky notes, so with this one, you can be sure your guest will appreciate the gift. Plus, every time they use one of these super cute sticky notes, they’ll think of you! They look like little baby blocks in pretty pastel colors; a really great favor idea. 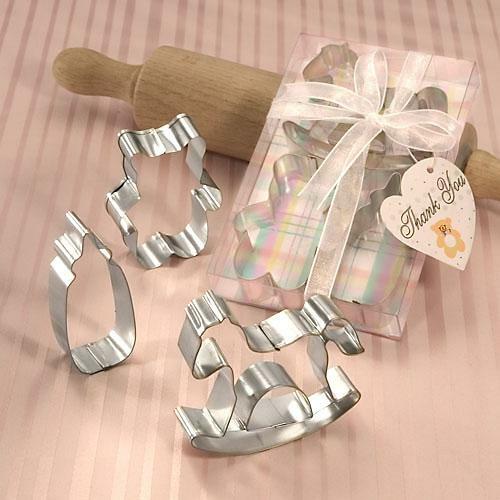 These adorable cookie cutters will light up your guests’ kitchen. 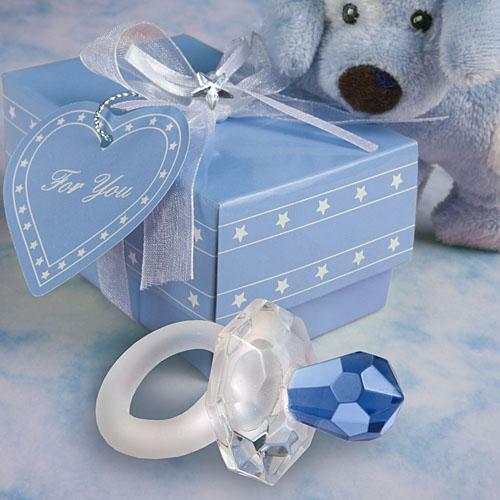 The shapes include a teddy bear, a baby bottle and a rocking horse, and they come in a clear box with an organza ribbon. Super cute, this is a favor that will actually be used by your guests! Whether you absolutely MUST have one of these or you’re thinking of going in another direction, let these precious baby shower favors inspire you to find something lovely for your guests. This entry was posted in Affordable Baby Favors, Baby Shower Planning, Practical Baby Favors and tagged candle baby favors, cookie cutters. Bookmark the permalink.